Football playing card issued by Cartamundi under the Sport - Belgian Red Devils for the European Championships in 2016. Measuring approximately 5.5 x 8.5cm. 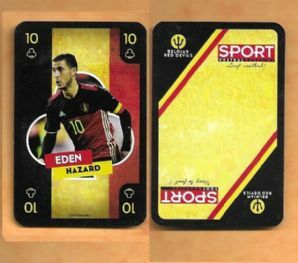 Depicting the Belgium footballer Eden Hazard, who played for Chelsea & Lille.